Closure of rural post offices averted. 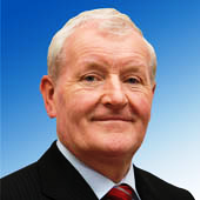 Amid fears upwards of 700 local post offices were set to close, Sligo-Leitrim Fine Gael TD, Tony McLoughlin has revealed the future of the services has been secured. McLoughlin says this has come about as a result of a Government review of the post office network announced earlier in the year. The business group, he states, will seek ways to increase the level of government and commercial business going through the post office network.